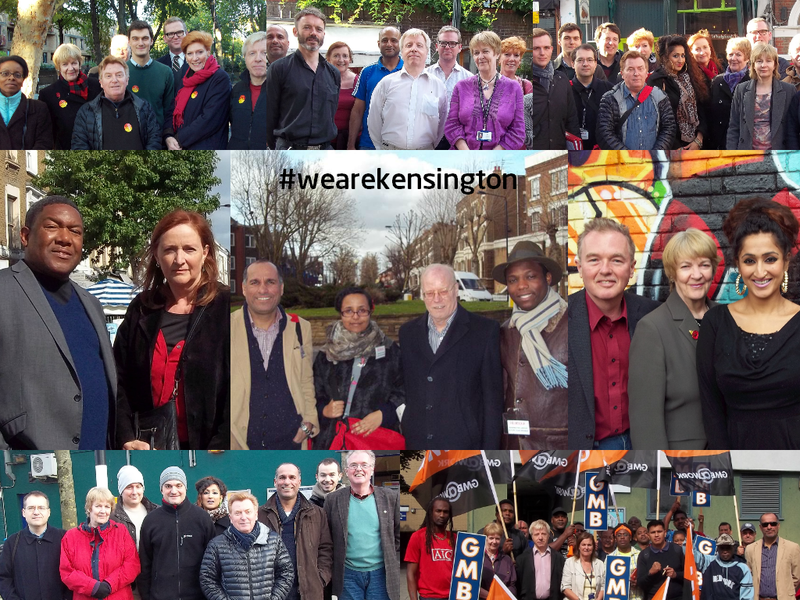 Kensington and Chelsea Labour Group celebrated massive swings in the Royal Borough of Kensington and Chelsea local elections, with a magnificent 12 contested Council seats won for Labour in the Tory-run borough. Thursday’s wins increase the size of the Labour Group by an impressive 50%, with the high turnout in Labour wards and near annihilation of the Liberal Democrats giving exciting results in ‘the richest borough in Britain’. Colville Ward has three new Labour councillors – Harrison Littler, Andrew Lomas and Monica Press. Labour won the ward with a 23% swing from LibDem to Labour. Labour’s share of the vote rose to 42%, leaving the LibDems with a mere 19% and the Tories just 25%. In Golborne Ward, councillors Emma Dent Coad and Pat Mason are joined by Bevan Powell. Labour increased its share of the vote to 73%, taking 3 out of every 4 votes cast. The Conservative vote reduced to just 15%, leaving the LibDems with a mere 4%. In Notting Dale Ward, councillors Robert Atkinson and Judith Blakeman are joined by Beinazir Lasharie. Labour’s vote in the new ward, named to celebrate the historic Notting Dale area, increased to 75%, taking 3 out of every 4 votes cast. The Conservative vote reduced to just 25%. Dalgarno Ward councillor Pat Healy is joined by Robert Thompson. In this new ward, Labour took 2 out of every 3 votes and achieved 63% of votes cast. The Conservative vote reduced to 21%, with the LibDems on a mere 7%. In the new Conservative target ward of St Helen’s, Labour councillor Mohammed Bakhtiar was elected, the first London councillor to hail originally from southern Kurdistan. Labour took a 46% share of all votes cast. In other wards, an improved Labour vote demonstrated strong dissatisfaction with the Conservative leadership of the Council. In Chelsea Riverside, which almost fell to Labour in a 2011 by-election, the Labour vote went up to 32%. In other Tory held wards, Labour’s share of the vote was also enticingly strengthened, showing that previous voter apathy is fading. And the three Chelsea Independents gave a nasty fright to Sir Merrick Cockell, Chairman of the Local Government Association, with an impressive campaign that enthused local residents, many of whom had never voted before. Under Proportional Representation, which the next Labour government plans to introduce into local government, the 2014 election votes would have produced a Council of 28 Conservatives, 15 Labour, 6 LibDems, 1 Green and 1 Chelsea Independent. Taking out the non-political Tory Mayor, this would leave a Tory majority of 5, introducing balance, good sense and good management to ‘the most unequal borough in Britain’. Continue to campaign and knock on doors throughout the year to keep in touch with local people.